Touching base to let Fangraphs readers know that this is my last piece in this space. Just got back from recharging my batteries with my family (including Biscuit, the Wonder Dog) at Brigantine, New Jersey, just north of Atlantic City. Plenty of time for thinking, reflecting, etc., and pondering the future. For me, it has become clear that I need to turn my full focus toward getting back into baseball, with a club, where I can best use my combination of scouting and analytical experience and expertise. That is going to take time and my much more undivided attention. It has been extremely rewarding to put my thoughts and ideas into print here at FanGraphs over the last few years, but honestly, it’s not enough baseball for me. It’s time to go back to work. Many thanks to David Appelman for giving me the opportunity to write under the FanGraphs banner. Dave Cameron, you were the guy who encouraged me from the very beginning; deepest thanks to you, as well. Carson Cistulli has been my primary editor and contact for the past couple of years. You always had time and a witty rejoinder for me. Paul Swydan was always there to pick up the ball in a tough spot. It has been a pleasure to work alongside the entire FanGraphs staff. Wherever the road takes me, I look forward to remaining in contact with my colleagues. Lastly, and most importantly, to the readers. Thank you, from the heart. I have connected with many of you via email to discuss my articles, to thank you for pointing out the (hopefully) rare typos that slipped through the process. We are unified by our love for this great game of ours. The game, the way it is played, the way is it covered and analyzed, continually changes. But at its core, it will always hold us close. I’ll see you all down the road, hopefully soon. Be sure to say hello. Cabrera and Votto: Two Passing Ships? Miguel Cabrera and Joey Votto — they’re both cinch future Hall of Famers, as close approximations as any among current major leaguers to the ideal all-around hitter. They have consistently made hard contact to all fields, hit for average and power, and not conceded many free outs to opposing pitchers. And obviously, they’ve done it without any contribution from their legs; it’s been all bat. 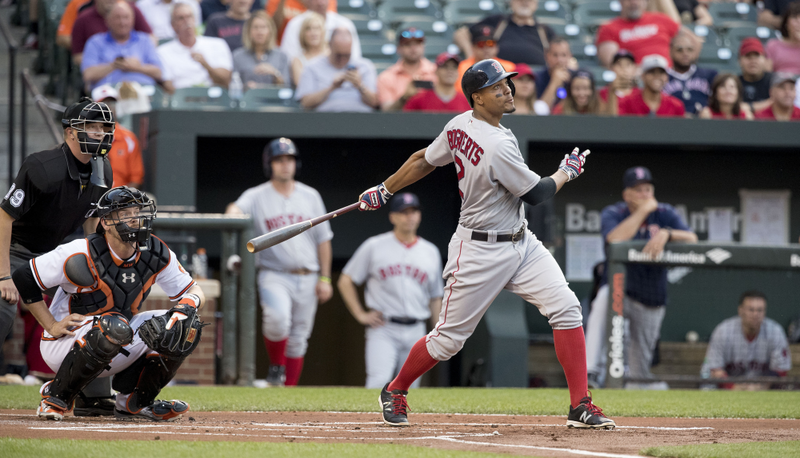 Last week in this space, we took a look at some shortstops predominantly known for their gloves who’ve taken some real (and not so real) steps forward with the bat. (Zack Cozart was not included; he deserves his own article soon.) This time, let’s flip the script and assess the light offensive production of some shortstops known for their bats not all that long ago. In this, the year during which the all-time record for homers in an MLB season will be broken, there has been no shortage of dominant starting pitcher performances. From Clayton Kershaw to Max Scherzer in the NL to Chris Sale and Corey Kluber in the AL, true greatness has been on display. In this space not too long ago, I dug a little deeper into the exploits of Dodgers lefty Alex Wood. 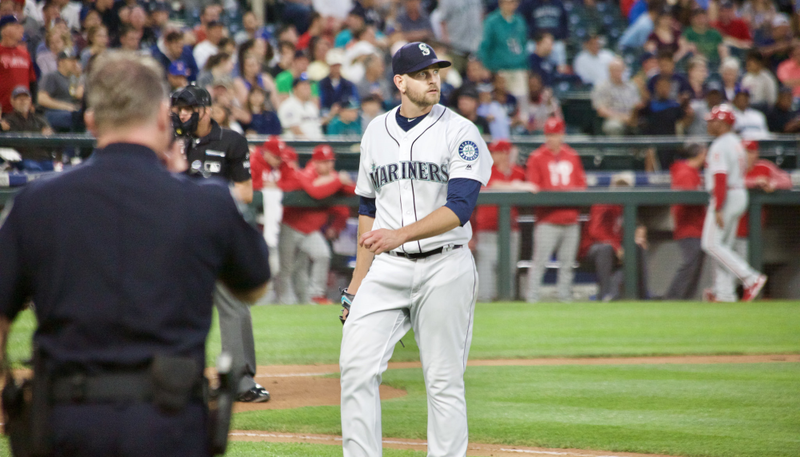 Today, let’s do the same in the AL and give Mariner lefty James Paxton his due. The main subplots of this 2017 season have been pretty obvious; the Dodgers are unstoppable, Aaron Judge is a power-hitting monster, and Clayton Kershaw, Max Scherzer, Chris Sale and Corey Kluber are really good at what they do. Flying a bit under the radar, however, are some shortstops previously best known for their glovework (or not known at all) who have begun to hit. Is the offensive production being generated by the likes of Elvis Andrus, Andrelton Simmons and Johan Camargo for real? Let’s use batted-ball data to answer some questions. Yesterday, we rolled out the latest update of my batted ball-based park factors, through the All Star break. Today, we’ll delve a bit more into some park-specific details. Exactly two months ago, I posted my first in-season BIP-based park factor update. BIP-based, you say? Basically, I’ve taken every batted ball hit in every park, applied major league average production for its exit speed/launch angle bucket, incorporated run values, and scaled the resulting projected production to an average of 100. It’s now time for midseason update #2, as of the All Star break. Earlier this week, we used granular batted ball data to calculate true-talent team records for American League clubs as of the All Star break. Today, it’s the senior circuit’s turn in the barrel. In recent off-seasons, I have attempted to ascertain team’s baseline true-talent levels utilizing batted ball data. This year, let’s do the same with current year data through the break. Today, let’s look at the American League. It’s been an utterly lost season for the San Francisco Giants. Sure, it’s not an even year, so finding the Giants outside of the playoff mix isn’t a total shock, but the second-worst record in baseball? Not exactly what Bay Area fans had in mind.